In NASCAR races, there are times when a driver in first place has to make a judgment call: do they keep going without making a pit stop but retaining their lead, or make a pit stop, get cleaned up, and then race to gain back lost momentum? Mad Max: Fury Road is a twisted, brilliant action vehicle that attains the kind of gonzo genius and mind-blowing spectacle other movies only dream to aspire to, but takes a poorly chosen pit stop halfway through that kills the inimitable brilliance of its first hour, which the movie can’t wholly get back afterward. It comes damned close, though. More a reboot than a sequel to any of the earlier three movies about the road warrior that rocketed a young Mel Gibson to fame, Mad Max: Fury Road requires absolutely no foreknowledge of the original trilogy. Even having seen them won’t help much, as this Max (Tom Hardy) is kept an enigma for most of the film. 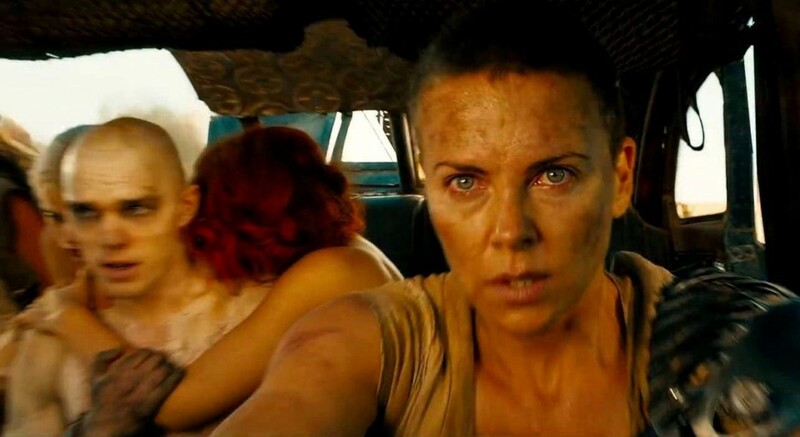 Normally, not knowing your protagonist can make a movie hard to invest in, but despite the movie’s branding, the main character of Mad Max: Fury Road is not actually “Mad” Max but Imperator Furiosa (Charlize Theron), who serves under the tyrannical Immortan Joe in the post-apocalyptic desert wastelands of future Earth. 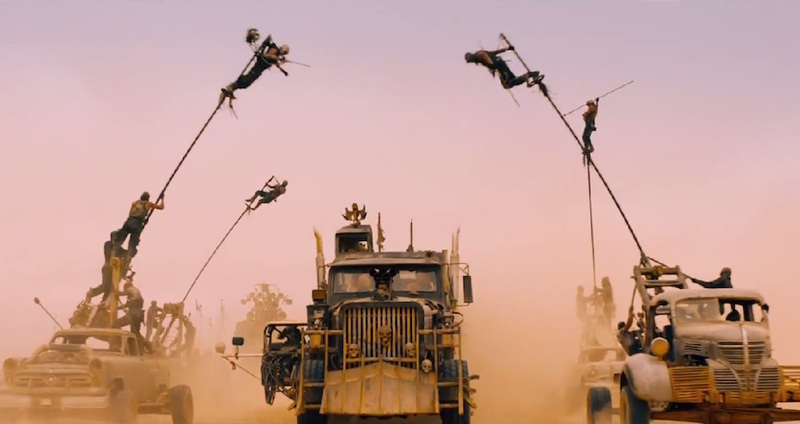 Furiosa steals a big rig full of water, gasoline, and Joe’s five teenaged wives, then escapes, leading to a bombastic car chase of epic proportions that essentially makes up the entire movie. Also involved in the massive chase is Nux, a bonkers character of the highest order played with unhinged aplomb by an unrecognizable Nicholas Hoult. 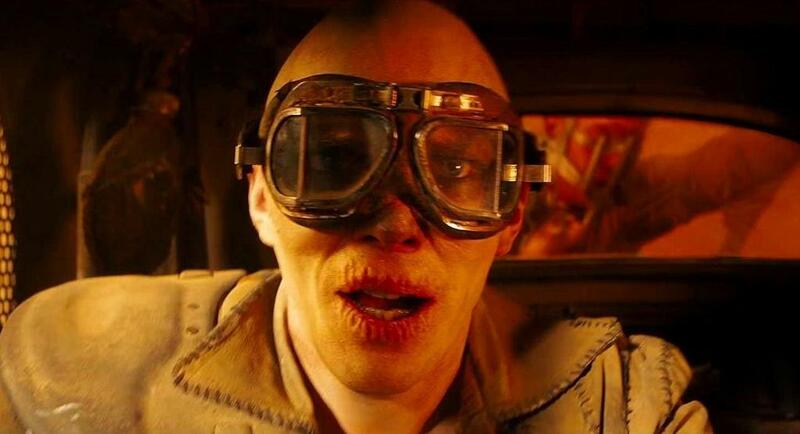 Nux believes blindly and whole-heartedly that by serving and giving his life to get back Immortan Joe’s wives, he will be welcomed warmly into Valhalla, which drives him to take every insane risk he faces in his dogged pursuit. Because of how much pollution exists in this future, many people have blood diseases which require frequent transfusions from the clean-blooded. Max, captured at the beginning of the movie by Nux’s fellow cult members, is kept prisoner as a “blood bag.” When Nux speeds off after Furiosa, Max is strung-up to the outside of Nux’s hot rod like a human IV bag. George Miller created, wrote, and directed 1979’s Mad Max, 1982’s The Road Warrior, and 1985’s Mad Max Beyond Thunderdome, but his fourth movie with the titular character comes loaded with state-of-the-art visual effects, Miller’s unfettered imagination, the dedicated talents of Hardy, Theron, and Hoult, and a budget nine times that of the first three movies combined. The first hour is unequivocally brilliant. The action is jaw-dropping, the adrenaline is palpable, and some of the visuals are the type to stay with you for years to come. A two-hour car chase shouldn’t hold water or attention spans, but Mad Max: Fury Road somehow has the alchemy to pull it off. 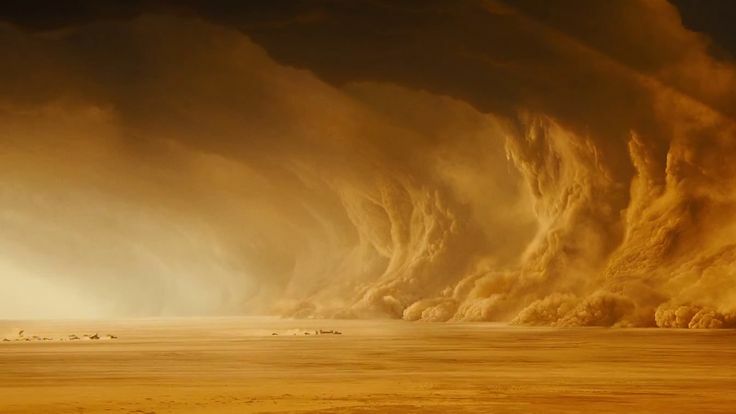 Beyond the occasional name or defining character trait, nobody is very three-dimensional, which almost always would be a flaw in an action movie — but Mad Max: Fury Road is that rare level of cinematic wonder that it truly doesn’t even need it. And just when you’re realizing that as an audience member, it seems that Miller notices too, which is when the movie unwisely stops the chase for ten minutes to build characters and give audiences time to breathe. In that short span of time, Miller indeed achieve a little character development, but it makes for a critical loss in the movie’s momentum it never is able to fully get back. It doesn’t help that the unbridled insanity in the first half seems less prominent in the second, or each that character begins having their own unnecessary subplots of redemption. (Nux’s is particularly trite, with an unconvincing, beauty-and-the-beast love story.) Some of the action scenes in the final act almost recapture the magic of the first hour, but they just can’t quite reach the same heights. Regardless of the fact the second half isn’t quite as great as the first, Mad Max: Fury Road is a still masterwork of action; the first hour may be 5-star worthy, but the second hour is still a solid 4 stars. Having the tools at his hands that Miller could only dream about 36 years ago has resulted in a spectacle that warrants seeing on as big as screen as you can find. 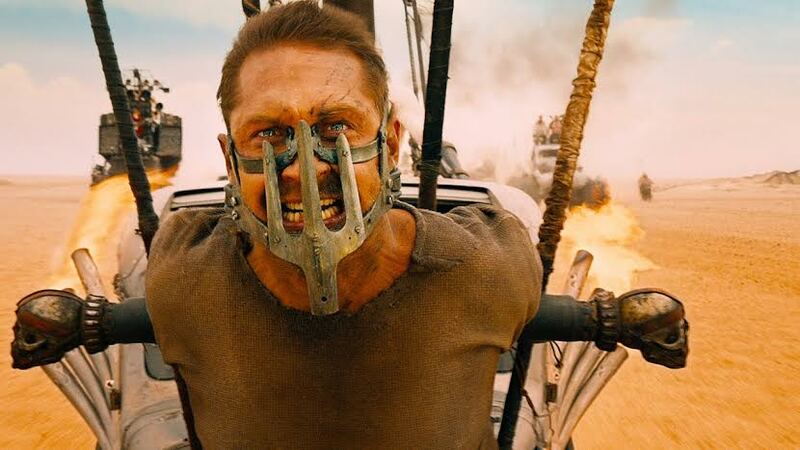 It’s enthralling, it’s invigorating, and it’s the best Mad Max movie yet.